You’ve come to the right place. Those who live and work here know that Perham is a great place to play. 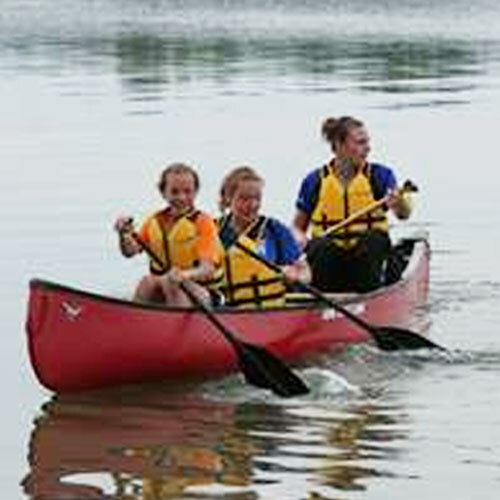 With our luscious landscaping and beautiful lakes, our area brings many different activities to the table. There are many different types of attractions in the area that offer leisure, adventure, or amusement. Our many parks and lakes provide natural entertainment, while our businesses provide cultural value, historical significance, and most of all – fun! Whether indoors or out, there is something for everyone to enjoy. 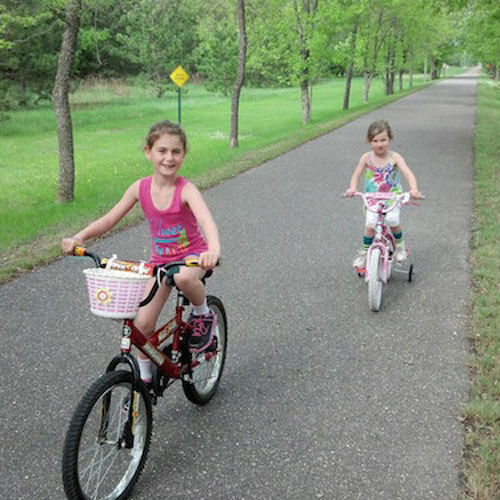 Perham has three interconnected bike trails covering the whole city, available for bikers or walkers. Take a cruise on the Arvig Park Trail, Wellness Trail, and Wildflower Trail. It’s not about how fast you go, it’s about enjoying the ride. With over 1,000 lakes in our area, it is easy to find your own place on the water. 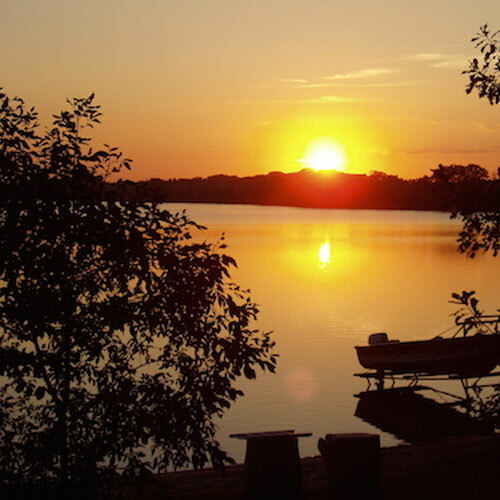 Whether you are pulling kids on a tube behind a jet ski, looking for a hidden fishing hole, or out for an evening pontoon cruise, the Perham area has you covered. 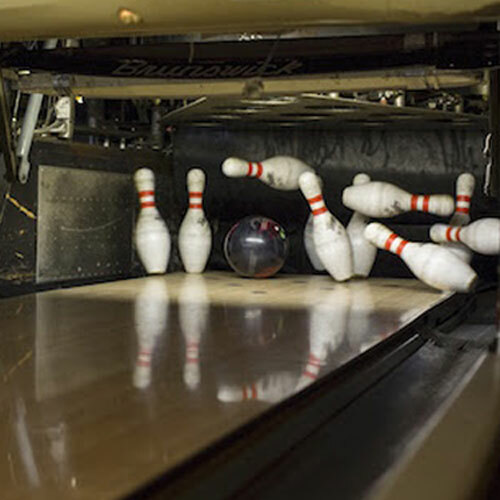 Whether you are a pro or a beginner, the bowling alley at The Cactus has the perfect indoor activity for families of all ages to fight off those windy, rainy, wintery days. If you are up for something a little more rustic and a little more adventurous, pitch a tent or pull a camper into the great outdoors! Stay up all night sharing stories around a bonfire or gazing at the stars. Adventure awaits! 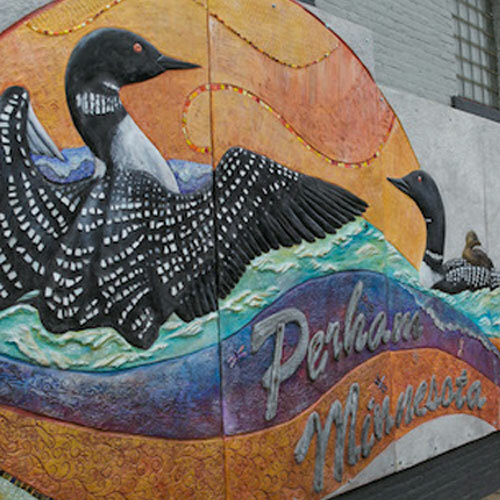 Perham has a variety of different cultural opportunities to discover: live music and entertainment, painting events and classes, Waves of Discovery Mural, museums, and more! Buy local, and buy fresh. What more could you ask for? Vendors of locally made or produced goods gather each Wednesday and Friday during the summer for a local farmer’s market. Located down in NP Park (next to the Post Office), you can bring the kids to play on the turtle slide while you do your shopping. 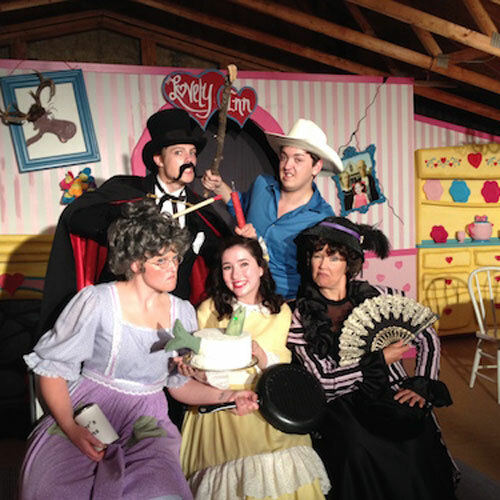 It’s a perfect activity for the whole family! When you live in lakes country, you don’t really need a reason to celebrate. But we came up with some anyways. There are all sorts of festivals and celebrations to partake in throughout the course of the year! 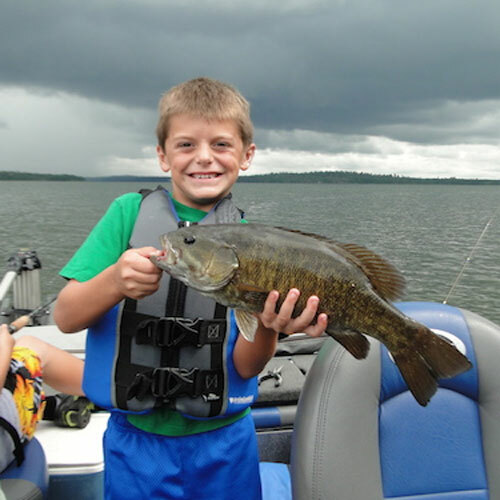 The 1,100+ lakes in Otter Tail County bring thousands of fishers to the area every year to angle for walleye, crappie, bass, northern, and sunfish. There is a fishing hole waiting for you! Hit the links in the lakes area at one of our local courses. 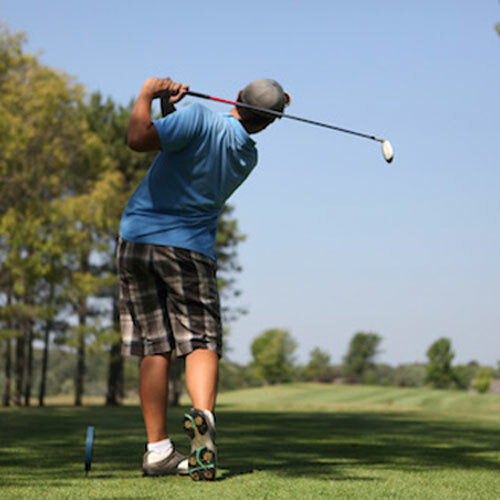 Whether you are looking for a challenge or a chuckle, these golf courses are the perfect activity during your lakes country getaway. 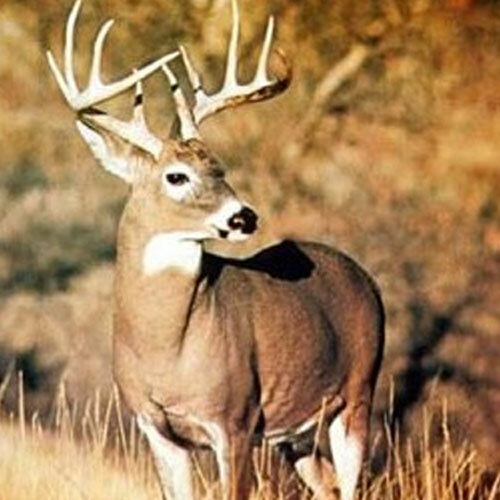 Whitetail deer are plentiful in the Perham Area and challenge hunters who have a taste for wild game. Ducks and geese populate our lakes and marshes, while ruffled grouse and other small game roam the countryside. See Gene’s Sport shop on Main Street in Perham for more info! Fishing isn’t just for summer. It’s just as good in the winter! Ice fishing is the way to go in the colder months. 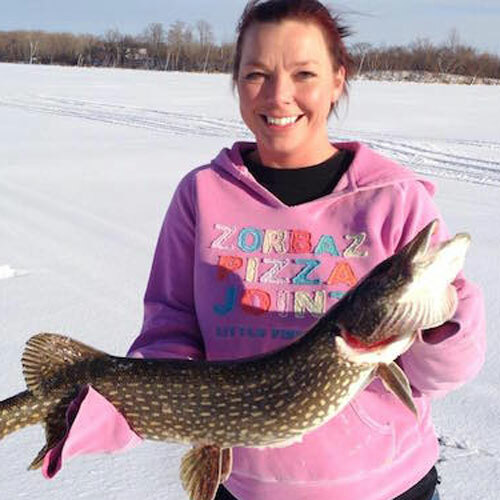 Head out on the ice and try your hand at spearing or jigging. Every day, there is a history that surrounds us. Every building, location, and person has their own story. Here are a few of the organizations that are helping share the stories of our area. 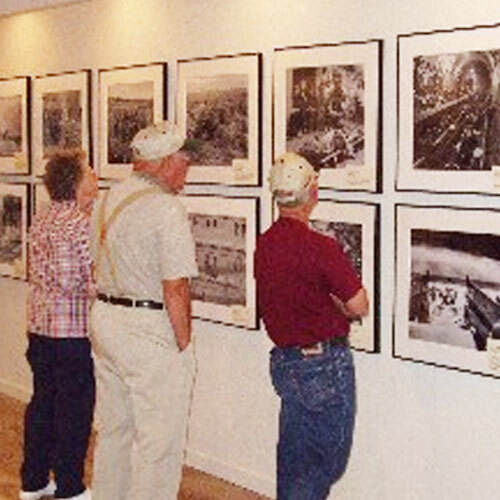 They are open for tours and visits – a perfect educational activity for any age! The parks in our area are home to a number of different activities. 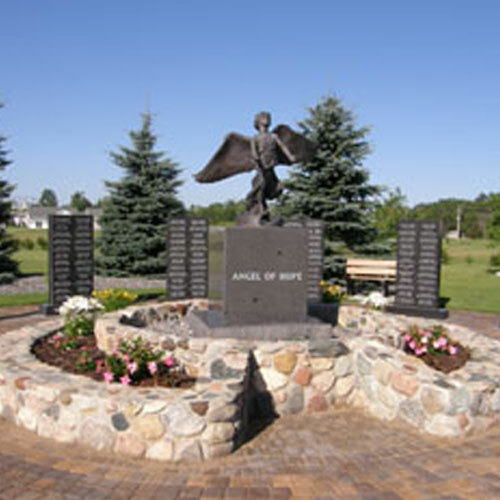 From a skate park to a memorial, there is a spot waiting just for you. Relax or play – the choice is yours! 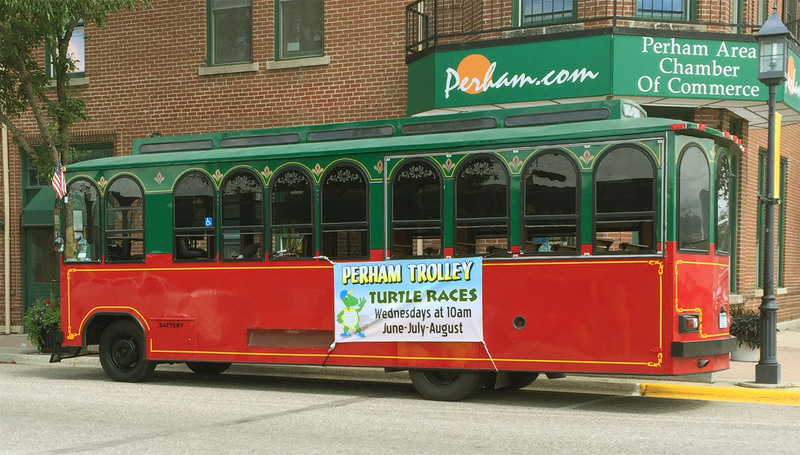 The Perham Express has been retired, so it is only right that we continue our legacy with the Perham Trolley. The new Trolley took to the road in July of 2016! 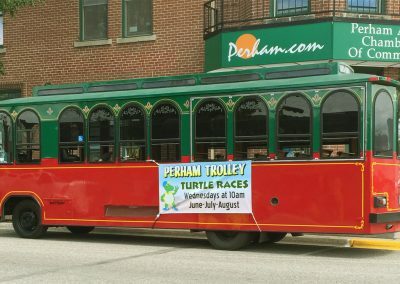 Hundreds of visitors are taken on a historic tour of Perham on our Trolley. Rides are available every Wednesday during Turtle Races. 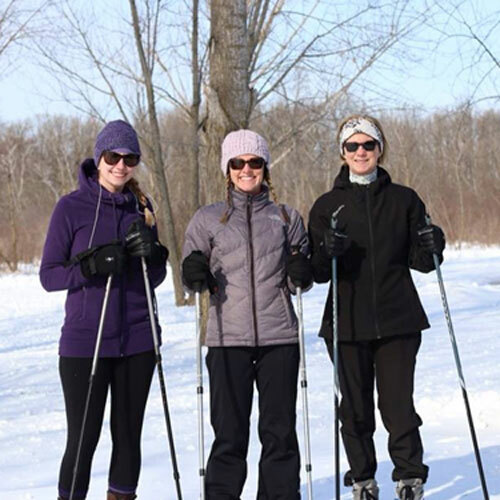 On the water, downhill, or cross country, skiing is a great outdoor activity during the summer and winter seasons. Just minutes from many lakes, trails, and Detroit Mountain, your next skiing adventure is just waiting for you. 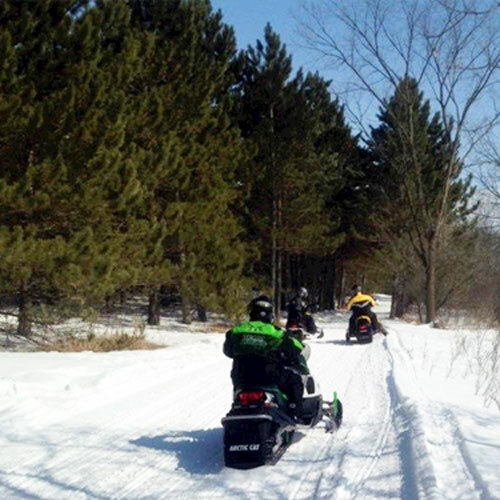 With hundreds of groomed trails throughout the area, there is always something to explore. Stop in along the way at a local bar or restaurant for food and beverages. Make tracks in the Perham area! Catch the picturesque sunset as it disappears behind the beautiful vegetation among our many lakes. For you early risers, the sunrise is just as magnificent. Is there anything more refreshing than taking a dip in the water on a hot day? Or in the middle of winter? 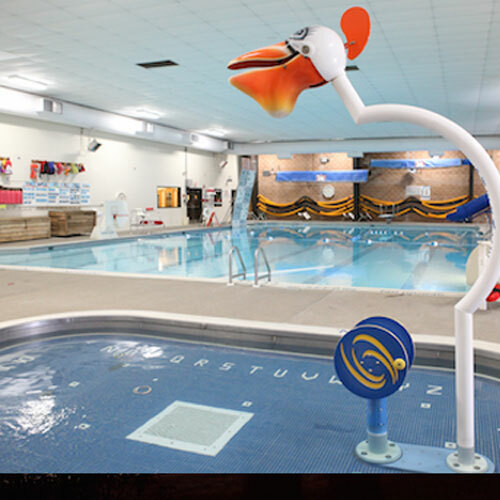 Take a jump in one of our many lakes or head on over to the Perham Area Community Center to dive into the pool! 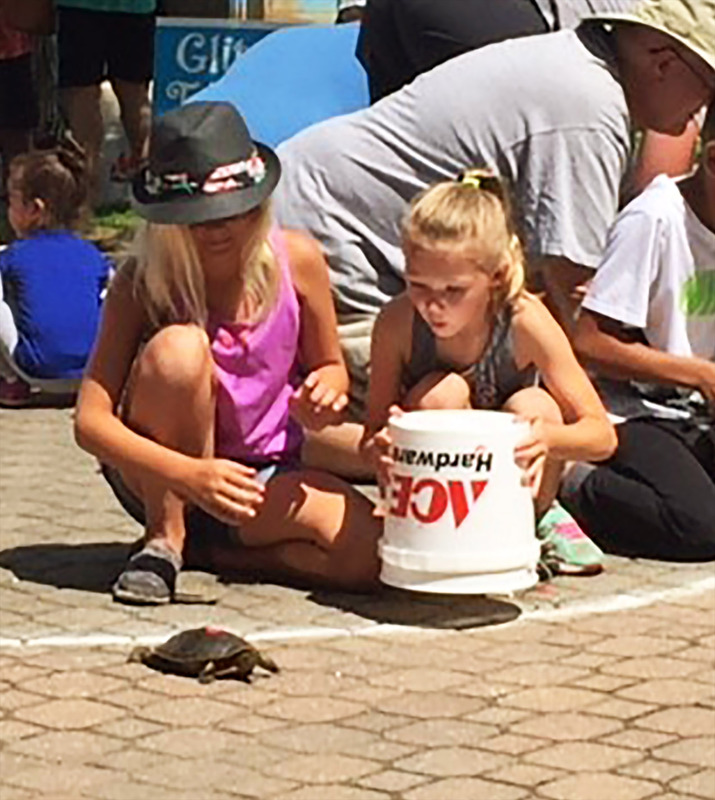 Every Wednesday during the summer, a crowd gathers around a paved ring to race turtles. Seems silly, but it’s been a way of life since the summer of 1978!! We are the closest thing you can get to an island without being classified as one. 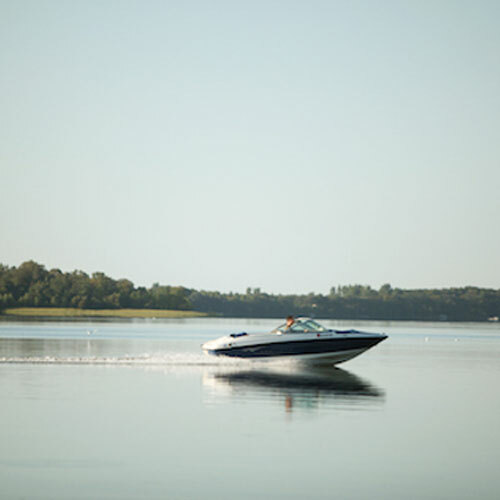 Whether you want to sit in the sand and enjoy the beach or cruise around the lake, our many lakes offer numerous water activities for everyone in the family. Installed in 2014 and measuring 70 feet long, The Waves of Discovery Mural is art to experience and explore. It was created with a medium of carved concrete with elements of agates, fossils, fused glass, and mosaics. Designed to encourage interaction among viewers, the 4,000 pound mural features over 50 items hidden among the panels of the mural to seek and find.